Federal Democratic Republic of Nepal located in the Himalayas and bordered to the north by China and to the south, east, and west by India. Nepal has world’s ten tallest mountains including the highest peak Mount Everest. More than 240 peaks over 6000 meters above sea level are located in Nepal. Nepal has been known as a multiethnic, multilingual, and multicultural country. Their own custom holder ethnic groups live in many places of Nepal. They do have their typical custom, traditions and cultures, which are impressive and interesting to know. An about 103 ethnic groups with over 65 different languages are in Nepal. Nepal was divided in many kingdoms. Only on 1768 AD it was formed in one nation by unification of Nepal. All the kingdom’s palace was built with typically and those are interesting places to visit. Some of them are in world’s heritage listed. Kathmandu Durbar Square, Bhaktapur Durbar square and Patan Durbar square are among them. Nepal is also destination of pilgrimage visitors. Land of Buddha’s birth place Lumbini, Asia’s biggest Hindu temple Pashupatinath, A famous destination Muktianth, Damodarkunda, Halesi Mahadev and route of Kailash Manasarovar pilgrimage tour as well as Tibet, Bhutan. 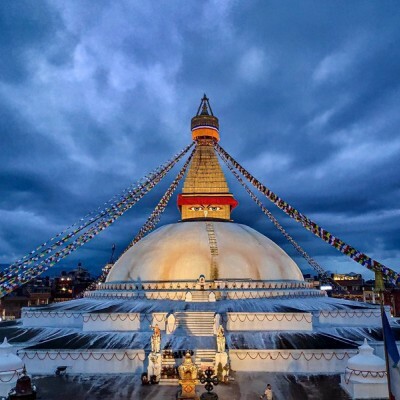 Nepal is very rich in its arts and architecture which can be seen in temples, monasteries, shrines as well as rich in enchanted views and scenery of mountains, Himalayas, rivers and forests, which make tourists spell-bound by mesmerizing treks and tours of Nepal. Various activities either adventurous like rafting, mountain biking tour, motorbiking tour,Everest trek or gentle trek and tour like yoga trek, cultural and heritage tour, home stay tours can be carried in Nepal. Climbing in Nepal will be updating soon..